Samsung Galaxy Note 9 is all set to debut on August 9. But ahead of its formal launch, much about the next-generation Galaxy Note model has surfaced on the Web. The smartphone is rumoured to feature a curved Super AMOLED-backed 'Infinity Display' panel and a larger, 4,000mAh battery than the 3000mAh battery available on last year's Galaxy Note 8. It is also claimed to come with an upgraded dual rear camera setup and include basics such as a 3.5mm headphone jack. As the successor to last year's model, the Galaxy Note 9 is also speculated to have an Exynos 9820 SoC for the global markets, though the Exynos 9810 SoC that was seen on the Samsung Galaxy S9 remains a possibility, while its US version is expected to have the Snapdragon 845 SoC. It is also likely to come with an improved S Pen that is reportedly getting a Gold paint-job for the first time. Samsung has also released some early teasers to reveal a fast experience, long battery life, and plenty of storage space. Amid the ongoing rumours and teasers, we detail what all you should know about the Samsung Galaxy Note 9. Samsung has confirmed that it is hosting an Unpacked Galaxy event in New York on August 9 to launch the Galaxy Note 9 globally. The smartphone is also expected to arrive in markets including India and Poland soon after its global launch. It is also rumoured to go on sale on August 24, while its pre-orders are expected to begin as soon as August 9. 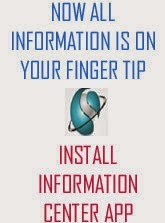 Online marketplaces such as Flipkart already started teasingthe arrival of the new Samsung model. While the Flipkart listing hasn't revealed any launch offers, a report from South Korea earlier this week claimed that those who pre-order the Galaxy Note 9 will get freebies such as a USB Type-C converter, wireless charger, smart ring, battery pack, screen protector, and a transparent case. While announcing its second-quarter earnings earlier this week, Samsung revealed that the Galaxy Note 9 will be launched with a "reasonable price". The South Korean giant, however, didn't reveal the exact price. But if we believe a recent report from Indonesia, the 128GB variant of the Galaxy Note 9 will come at IDR 13,500,000 (roughly Rs. 64,000) and its 512GB variant will be priced at IDR 17,500,000 (roughly Rs. 82,800). Price details of the 64GB and 256GB storage versions are yet to be revealed, though. In contrast, the Galaxy Note 8 was launched in India in 64GB storage option at a price of Rs. 67,900. Some of the early reports claimed that the Samsung Galaxy Note 9 will come with a 6.4-inch QHD+ Super AMOLED Infinity display with an 18.5:9 aspect ratio. If we believe a recent hands-on video, the bezels of the upcoming Galaxy Note model are quite minimal - giving space to the display panel. The handset was initially speculated to come with an in-display fingerprint sensor, though it was later reported that the company may prefer a traditional fingerprint sensor alongside an iris scanner over the advanced technology. The fingerprint sensor is found to be placed below the camera system - instead of being in line with the camera system that was found on last year's model. Further, the dual rear camera setup of the handset is apparently placed horizontally. Getting deeper into the optics, it is reported that the Galaxy Note 9 will come with an upgraded dual rear camera setup. Samsung could also this time offer a dedicated physical camera button to let users comfortably capture their moments. It is additionally reported that there will be improved optical image stabilisation (OIS) offered on the new model over its predecessor and various video enhancements. The company could use its ISOCELL Plus technology for an overall improved imaging experience. It was initially expected that the Galaxy Note 9 will come with an Exynos 9810 SoC - the same chipset that debuted on the Galaxy S9 family earlier this year. However, a recent Geekbench listing hinted atthe availability of an Exynos 9820 SoC. The Geekbench listing also suggested the presence of 4GB of RAM and Android 8.0 Oreo. In the US, the Galaxy Note 9 will not come with the new Exynos power but come with the Snapdragon 845 SoC. There are speculations that Samsung will offer as much as 8GB of RAM and 512GB of onboard storage on the Galaxy Note 9. Alongside the new processing power, the Galaxy Note 9 is expected to have a battery pack larger than what was featured on the Galaxy Note 8. The new model is rumoured to come with a 4,000mAh battery that can be expected to support fast charging technology. Samsung already teased a long battery life on the upcoming Galaxy Note. Further, a wireless charger box recently leaked online to indicate an all-new wireless charging pad called Wireless Charger Duo that could not just charge the Galaxy Note 9 but also the Galaxy Watch that is also likely to arrive on August 9. This sounds similar to Apple's AirPower that is yet to hit the shelves. 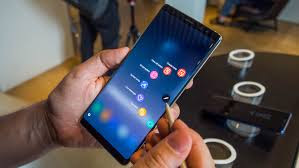 As the USP of the Galaxy Note family is the S Pen integration, Samsung is this time reportedly upgrading its stylus by adding Bluetooth connectivity to let users unlock the phone remotely by pressing a button on the S Pen. There could also be some enhancements on the pressure sensitivity front. Further, Samsung is apparently bringing a Gold-coloured S Pen this time to offer new colour combinations of the Galaxy Note 9. A recently surfaced hands-on video shows the alleged massive display of the Galaxy Note 9 along with minimal bezels and a tweaked back with a glass covering - possibly to enable wireless charging support - alongside a small fingerprint sensor, just below the dual rear camera setup that is accompanied by an LED flash.